If your garden has heavy clay soil, you know what a challenge it can pose to plants, not to mention gardeners. Heavy clay drains slowly, meaning it stays saturated longer after rain or irrigation. Then, when the sun finally comes out and the soil dries, it forms a hard, cracked surface. On the bright side, clay soils are usually richer in nutrients than sandy soils are. And clay's tendency to hold water tightly can be an advantage. Test soil pH, and adjust as necessary. Clay soils are rich in nutrients, but if the soil is too acidic or too alkaline, those nutrients won't be available to the plants. Use a home test kit or send a sample to a soil testing lab, then follow the recommendations for adjusting pH. For most garden plants, a pH of 6.3 to 6.8 is ideal. Find a lab near you by checking in your telephone directory, or by calling your local cooperative extension office. Add organic matter. This helps improve drainage and lighten heavy soil. It also provides nutrients for beneficial soil microorganisms which will, in turn, also help improve the soil. Before planting in spring, add compost and aged manure. A 2- to 3-inch layer worked into the soil to shovel depth is a good amount. Throughout the growing season, mulch with organic materials like grass clippings, shredded leaves, or additional compost. Since soil microorganisms literally "eat" organic matter, make a habit of continually adding it to your soil. Build raised beds. Because clay soils hold water, creating raised beds can help improve drainage by encouraging water to run off. Raised beds can be a simple mound of soil, or can be constructed out of wood, brick, or stone. To lessen compaction, size the beds so you can reach the middle without stepping in the bed. Mulch beds over the winter. Driving rain can really pack down bare soil, so keep beds mulched with organic matter both during the growing season and over the winter. A layer of straw over the beds will protect the soil from compaction and reduce erosion; it can also help minimize weed growth. In the spring, transfer the mulch to the garden paths. Plant a cover crop. A cover crop is like a living mulch. Different cover crops are appropriate for different regions. In the north, winter wheat and winter rye are popular choices; in warmer regions, crimson clover and oats are commonly used. For a winter cover crop, sow after the last crops have been harvested. The following spring, simply till the plants into the soil, adding yet more precious organic matter. Improving soil takes time, so don't expect overnight results. On the other hand, if you follow the above steps you should notice some improvement each year. Within a few years, you'll have rich, plant-friendly soil. Add compost any time. 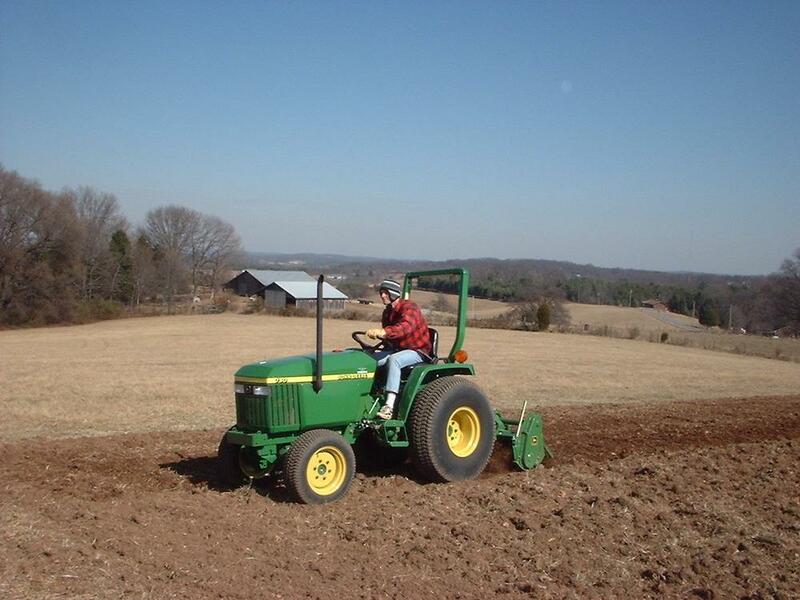 However, if you are tilling in fresh or uncomposted organic matter, such as a cover crop, leaves, or straw, wait at least a few weeks before planting to allow the material to break down.